One in 20 people will suffer from a thyroid disorder, and women are often the victims with 1 in 14 having a thyroid disorder. That’s quite a lot isn’t it? Though I do understand some things about the thyroid, I don’t really consider myself an expert on thryoid health. But I have a couple of clients with thyroid issues right now so I’m going back to basics and delving into some more research so I can learn more. As I go through the process I will be sharing the information with you in a health series here on the blog. Be sure to subscribe to the weekly newsletter for updates on this health series as new articles become available. If you have a question about thyroid health, please leave your comments below or contact me here and send it in. The thyroid gland is part of the endocrine system, the complex hormonal system that keeps our body in balance and functioning properly. The more I learn about hormones, the more I realise just how important they are to our overall health, and they are truly fascinating, at least I find them to be. The thyroid gland is located at the front of the neck, attached to the lower part of your voice box and has a butterfly type shape. It is one of our largest endocrine glands and has follicles that produce the protein called thyroglobulin. The key thyroid hormones, triiodothyronine (T3) and tetraiodothyronine (T4) are made from thyroglobulin. The thyroid gland produces 80% T4 and 20% T3 but T3 is 5-7 times stronger in it’s actions. T3 is also produced from T4 in other parts of the body. 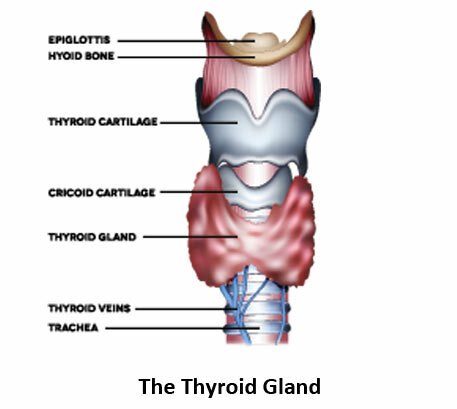 The thyroid also prodces small amounts of T1 and T2 but these don’t produce hormonal activity. The basic activity of each and every cell in the body is controlled by thyroid hormones. 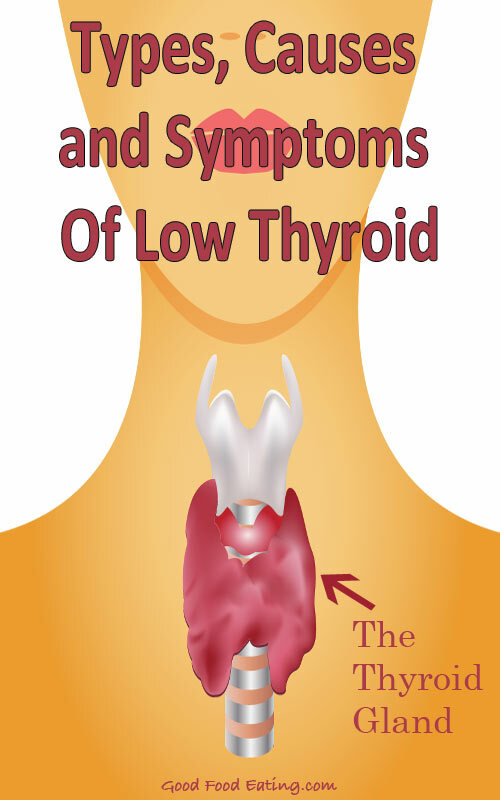 When it comes to thyroid disorders low thyroid is more common than high thyroid. Low thyroid also known as hypothyroid. As already mentioned, women are at higher risk, as we age risk increases, and often there is heredity that will indicate increased risk also. Worldwide the most common cause of low thyroid is iodine deficiency, because we need iodine to synthesise thyroid hormones. Most iodine comes from the sea but also from soil and in modern times soil is mostly depleted of iodine, most people don’t consume sea foods or vegetables and therefore we have growing rates of iodine deficiency. We don’t need a great deal of iodine but our body does not store it so we do need to get it from our diet. In Western countries the most common cause of hypothyroid is hashimotos thyroiditis. What many people don’t realise is that this is not just a thyroid condition but an autoimmune disease where the body’s immune system is actively attacking thyroid cells and causing inflammation. Therefore most people will have to address immune health in order to improve their condition. We’ll go into these aspects in future posts. This is doctor induced low thyroid and is not very common but it is where a doctor has treated high thyroid and the treatment results in hypothyroid. If the pituatary gland fails to produce enough thyroid stimulating hormone this can result in hypothyroid. It can also occur if the pituatary gland is damaged in surgery or an accident. Secondary hypothyroidism is not very common. This is where the thyroid simply has an inability to produce T3 or T4 hormones. Unfortunately there are many possible symptoms. Although you won’t likely experience all of them you may experience one, or a few of them together. Clearly none of us want to experience any of these symptoms and while there can be multiple sources, don’t excluce thyroid as a possible factor if you are struggling with any of these things. When we have an under active thyroid it slows down every single process in the body except aging…I know, bummer right! Aging is the one thing that low thyroid accelerates because of the way it increases inflammation throughout the body. It’s also important to note that many of the symptoms of low thyroid are very similar to adrenal fatigue and when thyroid treatment has been undertaken without success, then you might want to look at the adrenals for the answer. Often adrenal health becomes compromised before thyroid problems begin so they have a very close relationship. This is something most people do not realise. Hormones just fascinate me, our endocrine system is so incredible and very important for us to think about when it comes to health, wouldn’t you agree? P.S. Subscribe for updates on this health series. 1. Cabot, S. Jasinska, M. Your thyroid problems solved: Holistic solutions to improve your thyroid. 2006. WHAS. Camden.